There will be al kinds of music, with amazing Drupad from The Gundecha Brothers. Go check it out if you are in LA on April 26-28, 2019. 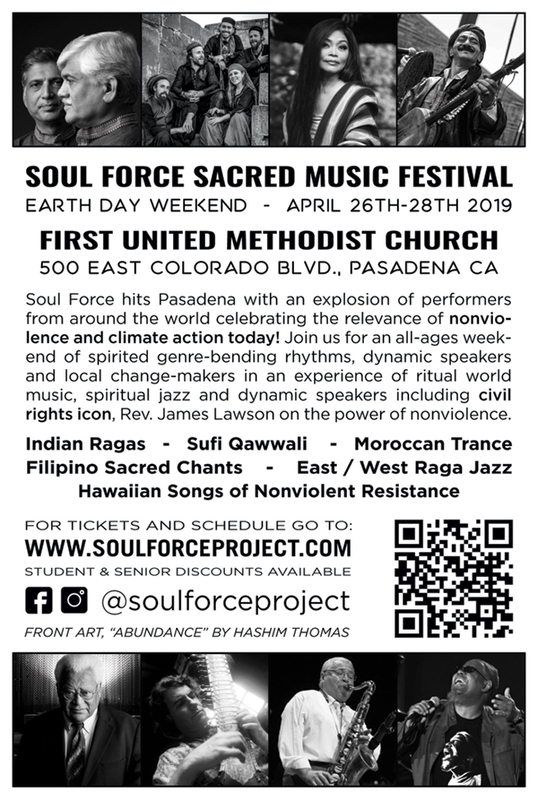 Soul Force hits Pasadena with an explosion of performers from around the world celebrating the relevance of nonviolence and climate action today! 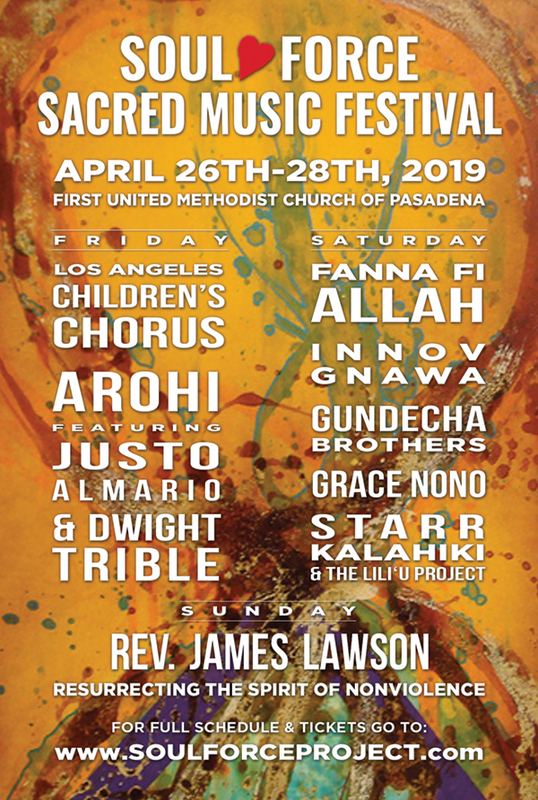 Join us for an all-ages weekend of spirited genre-bending rhythms, dynamic speakers and local change-makers in an experience of ritual world music, spiritual jazz and dynamic speakers including civil rights icon, Rev. James Lawson on the power of nonviolence. We are a city-wide collaboration of performing artists, diverse organizations, scientists and celebrating the universal power of music. The Soul Force Project is a collective of artists, educators, activists and scientists. We are partnering with various faith groups, climate action organizations, arts partners and teachers in local schools. The project is committed to giving people local opportunities to take tangible positive action, including workshops on nonviolent training, regenerative agriculture, refugee & homeless awareness!